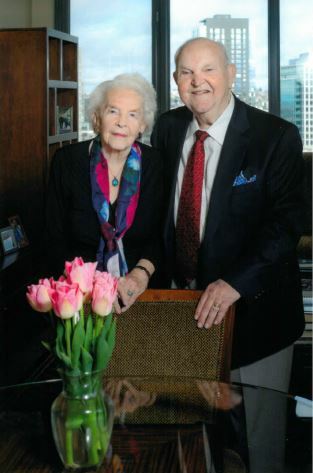 The Economic Opportunity Institute recently received the largest gift in our organization’s history – an endowment gift from Seattle philanthropist Floyd Jones. Floyd, who will turn 90 years old this fall, grew up the eleventh of twelve children in a poor sharecropping family in Arkansas. His financial success far exceeded his early dreams, but he has always regarded wealth as something to be shared. Floyd decided to give to the Economic Opportunity Institute to “promote economic justice, open more opportunities to everyone, and make people aware of opportunities.” I recently had the great pleasure to visit Floyd and his longtime friend and fellow community-leader, Alene Moris, to learn more about why Floyd decided to give this gift, and to hear about his greatest hopes for our country. Floyd, I’d love to understand more about what brought you to give this gift to the Economic Opportunity Institute. Were you raised with the values of giving back and sharing what you have? I am committed to act against poverty and to support health care and education. That’s why I support EOI. I was born in a sharecropping family in Arkansas. We were very poor, and I mean, poor. We didn’t have a car or electricity or a bathroom. We lived in a house with kerosene lights. We were cotton pickers. I was a very good cotton picker. The only one that could beat me was my brother Bill. The best training I ever had to be a stockbroker was picking cotton by the pound. It taught me work ethic and ambition. I built a career managing people’s money and let’s put it this way – I’ve gotten better and better at it. Becoming quite wealthy has allowed me to achieve my dream of helping my friends and my community. I’ve been able to give large gifts to over 20 organizations, including the ACLU, Virginia Mason and KCTS Channel 9. I also built a YMCA in Stanwood – that was one of the finest things I’ve ever done. 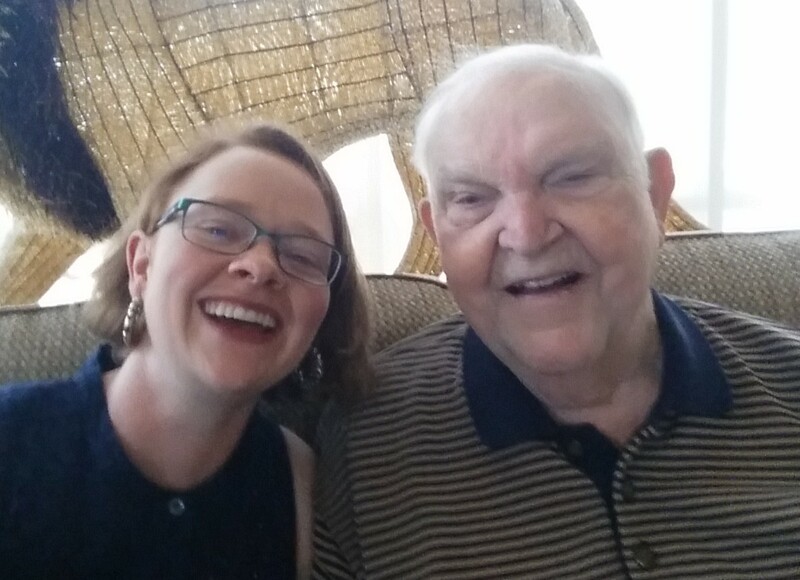 My wife Delores would be so proud to see what I’ve been able to give back to our community. She was a good citizen and loved doing good for others. I have a theory. The more you give, the better you do. When you give, it comes right back to you. It’s like “Jack and the Bean Stalk”, where you get higher and higher. The greatest pleasure in my life has been to support good activities in my community. That’s how you have a good community – you support it. It’s everybody’s responsibility and everybody’s pleasure. What are your greatest hopes for the legacy of your gift to EOI for the working people of Washington and for our country? Floyd Jones – a man with big ambitions! I hope we get an income tax! I hope that homelessness disappears. As good as a country as we have, with so much wealth, we shouldn’t have poverty in this country. We need more education and a good standard of living for everyone. I want everyone to get a good education, because I think we can handle the world if we get a good education. That would be my biggest reward for the future of the planet. When you were a boy, did you ever think that you would be able to give a gift of this size? What would you say to your younger self, knowing now about the impact you’ve been able to have? As a boy I thought I would be able to be supportive of the community and do some good, but I’ve exceeded my own expectations. I would tell my younger self, ‘You can do it, boy. It’s gonna come true.’ I thought a lot about the future as a young boy. I didn’t have any idea how it would be. I just wanted to get out of that hot sun. I knew I had to get an education first. I’m the only one in my family that graduated high school and went to college. The biggest thing I’m sad about is that the rest of my family didn’t get an education. Most of them had to quit school in the 6th grade to work. A lot of my siblings didn’t pass on to the next grade. You become embarrassed. We had pride. We were good people, but we were very poor. It’s hard to get out of that cycle. What was it like for you to decide to make a gift of this size? Giving does something to do you as a person. It changes your attitude about life. Being able to give this gift is a dream come true because this is how I used to daydream as a boy. Being generous and helping people is something I always knew. I learned as a small child that helping people was a good thing. I guess I never forgot it. 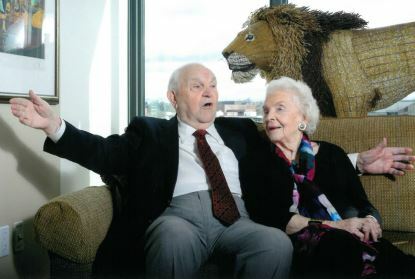 Floyd’s bequest will create the Floyd and Dolores Jones Endowment Fund, after Floyd and his late wife Dolores. This gift will support the work of EOI for years to come and help create a legacy of economic opportunity for all Washingtonians.